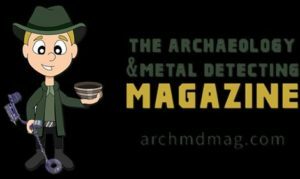 THURSDAY 14th MARCH Juilan Evan Hart editor of Treasure Hunting Magazine will appear as a guest on The All Metal Mode UK Podcast. Julian has a wealth of experience in the hobby and has some amazing stories , it is sure to be a great show. The All Metal Mode UK podcast is the UK’s FIRST and ONLY Metal Detecting podcast and has featured guests Dilek Gonulay, Gary Blackwell, Addicted to Bleeps, Andy Sampson, Dean Stainton, Digger Dawn, Richard Lincoln, Mike Smith and Mark Hambleton and many other guests. All Metal Mode UK – every Thursday LIVE at 8pm on Spreaker. Come and join the biggest discussion in Detecting. CLICK HERE to listen to previous shows.